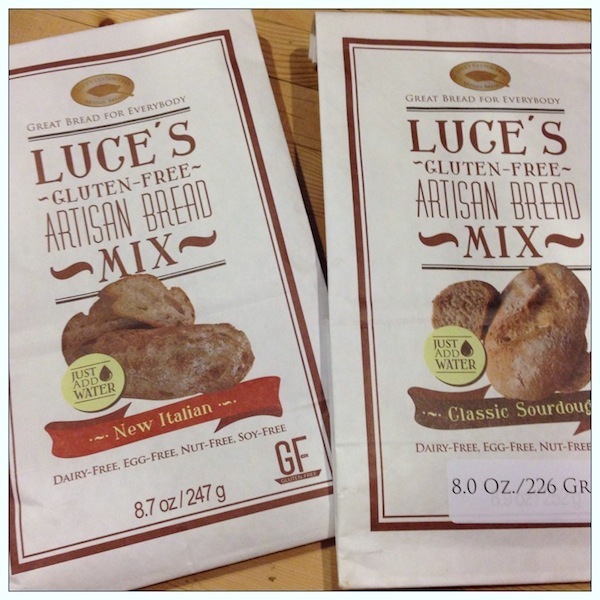 I had the opportunity to test two of the new artisan bread mixes by Luce’s, and they are delicious! They sent me Sourdough and New Italian. 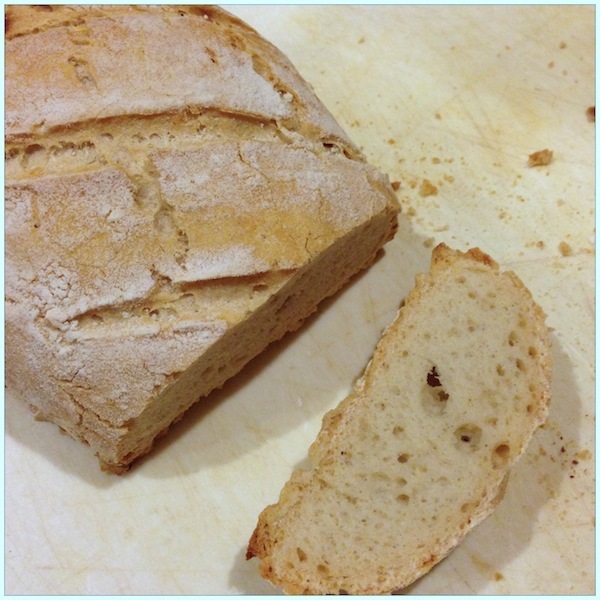 Both produced bakery-quality bread as promised. First I tried the sourdough, which is something I have missed. You simply add warm water to the flour mixture. The instructions are extremely detailed, which I appreciated. I used my Kitchen-Aid (one option) and it was super-easy. 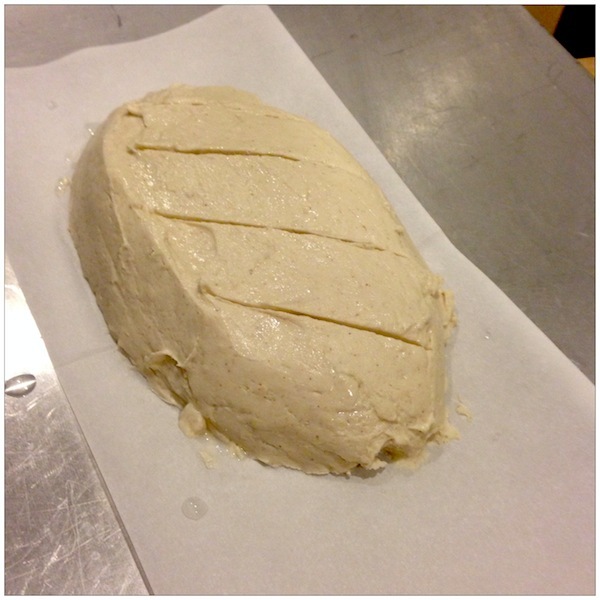 You place the dough on the provided pre-cut sheet of parchment, shaping it into a loaf with a wet spatula. You dust the outside with the provided rice flour, and then slide the entire loaf into the provided parchment baking bag. After baking for 85 minutes, it comes out like this. The crust was extremely hard, almost too crusty (I was afraid I had broken a tooth on the first bite!) 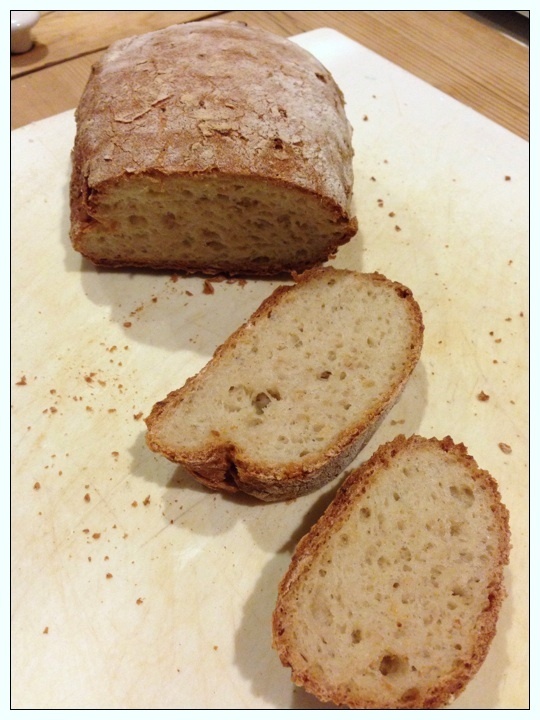 but truly tasted like real bread, with excellent sourdough flavor. It makes a smallish loaf (they say it bakes into a 13 oz. loaf), which they say complements dinner for 4. You can see the quality of the texture inside. If using, plan on 3-4 hours before eating: 30-60 minutes for the suggested rise (can skip), 1.5 hours to bake, 2 hours to cool for best results. Here’s the Italian, delightfully crusty with a tender interior. Very clear and detailed instructions gave me total confidence as I was baking. Vegan. Made in a dedicated gluten-free facility. Excellent end result. The $7.95 price tag (per loaf) puts it on the pricey side, but I might purchase it for a special dinner if I didn’t have time to make my own. The mixes contain xanthan gum, which some people are sensitive to. Celiacs who are craving artisan bread. Anyone gluten-free and vegan. 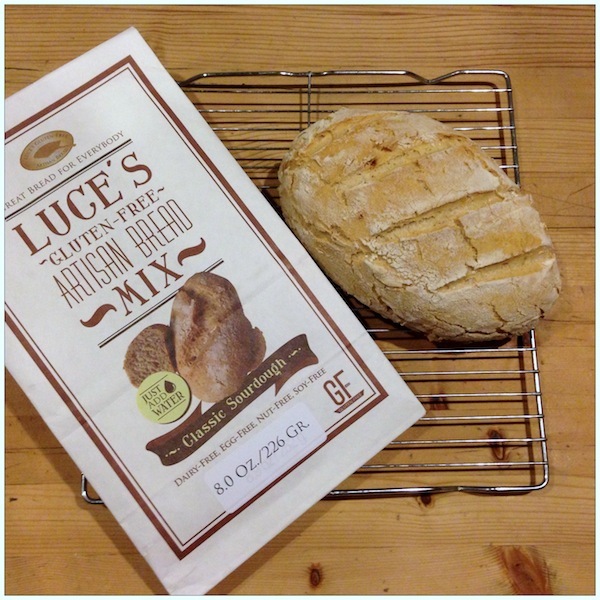 Required FTC disclosure: I received the bread mixes from Luce’s. I was not paid to write this post. Never miss a post! Click here to start receiving my e-news updates whenever I add a new post. You’ll receive a free e-book and a guide to renovating recipes for signing up, plus additional special offers in the future exclusively for my subscribers. That bread looks phenomenal! It looks like something right out of a bakery! 🙂 I adore the smell of fresh bakes bread! I wish there were a candle that smelled like that, lol! I love the “authentic” look of their packaging and that bread – oh my – it looks amazing! My father baked fresh bread every Saturday. I looking forward to trying this, and bringing back wonderful memories while remaining GF. Thanks, Stephanie! Laura, what a lovely memory to have. We were both impressed with this bread. Funny I just wrote a review of their bread today too. Good stuff ! Yes, we thought so too! Thanks for letting me know, I’ll have to check out your review too.